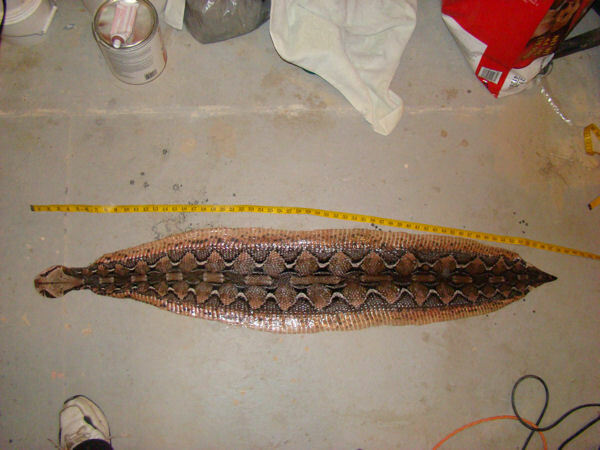 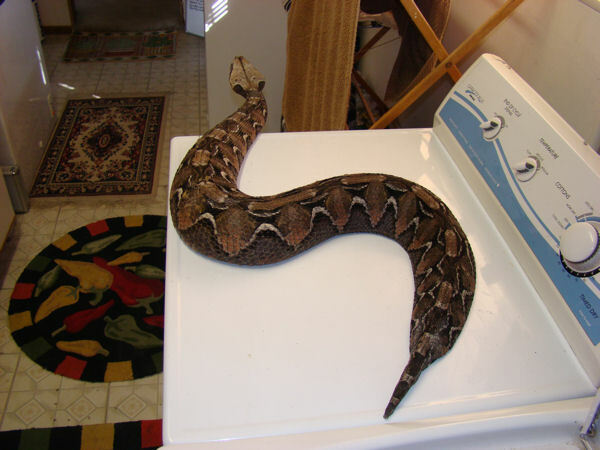 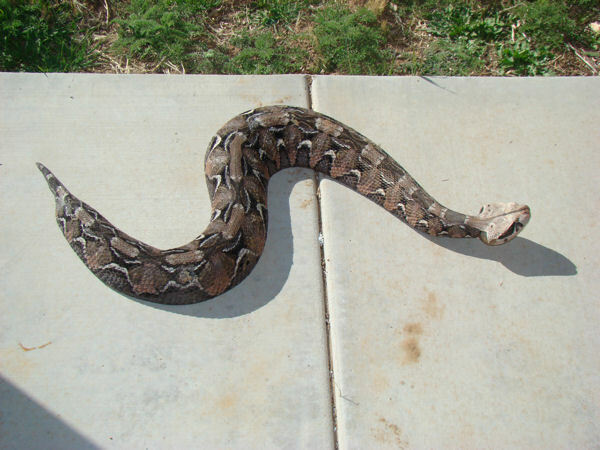 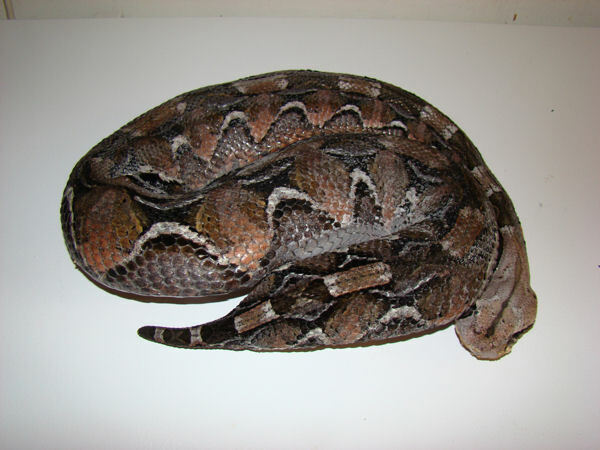 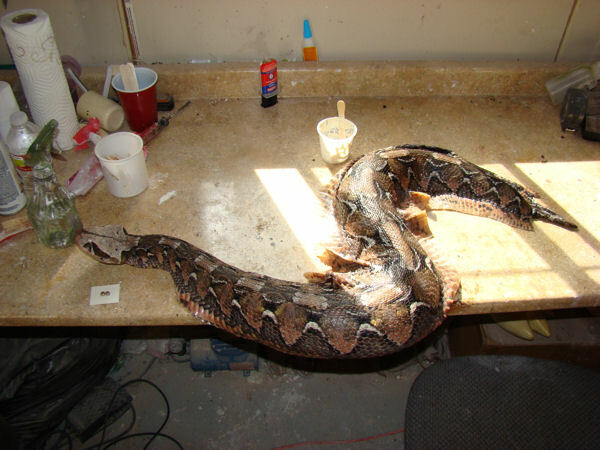 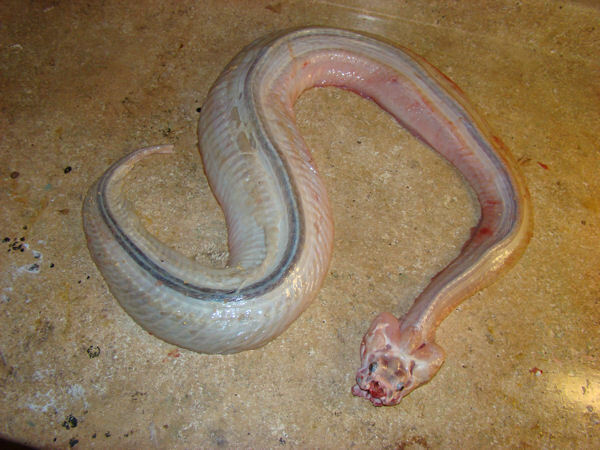 This is a 50 inch African Gaboon Viper. 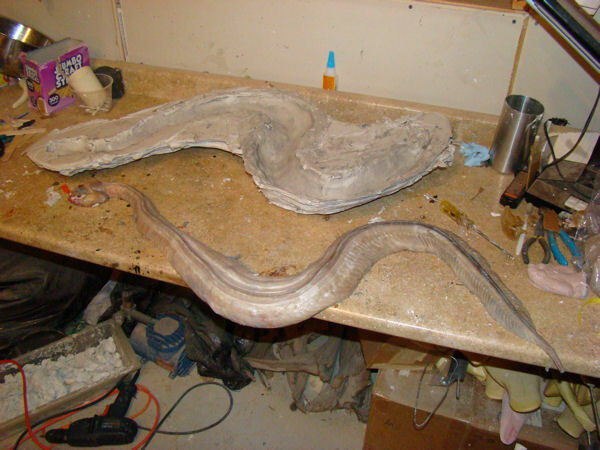 Since none of the taxidermy supply companies make a mannikin this big I chose to make my own. 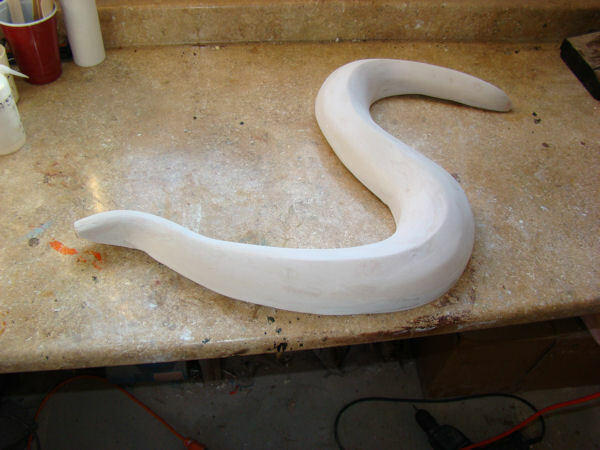 curves for support and I also add burlap for the plaster strength. 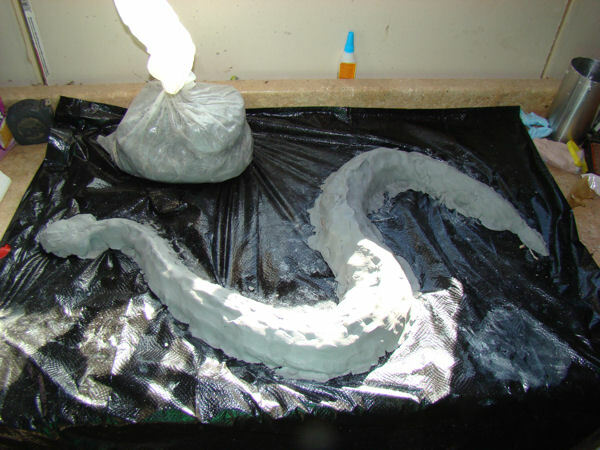 Then another coat for added strength. 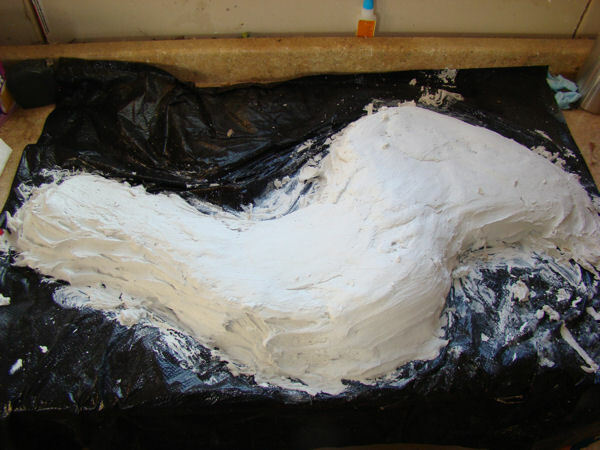 Once the plaster set I then turned over the plaster mold and removed the carcass from the mold and removed the clay from the carcass. 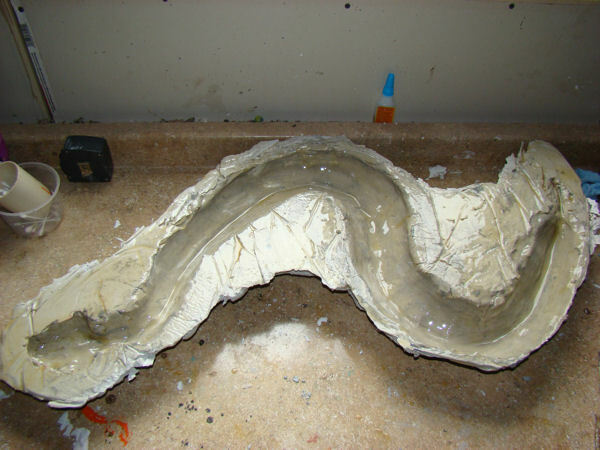 After letting the plaster mold dry overnight and most of the day I applied a coat of clear resin to the inside of the mold. 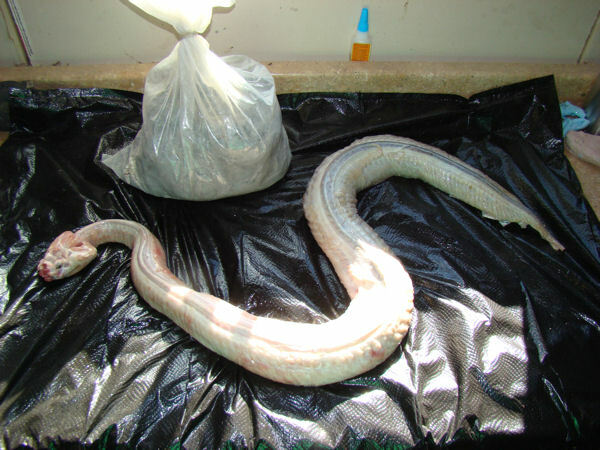 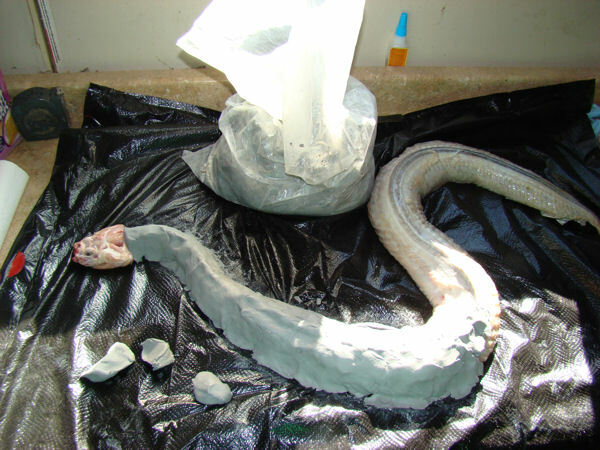 cast before I skinned the gaboon. 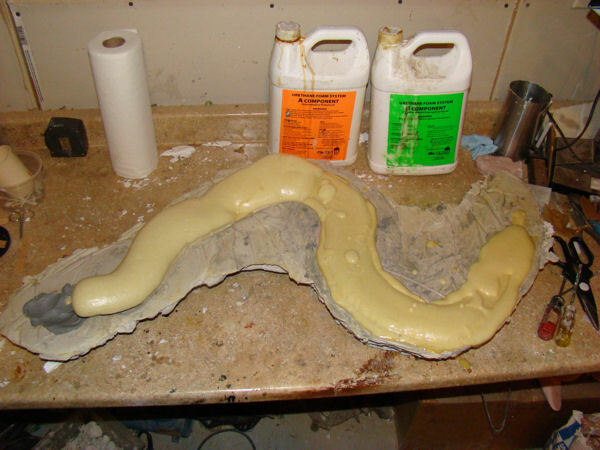 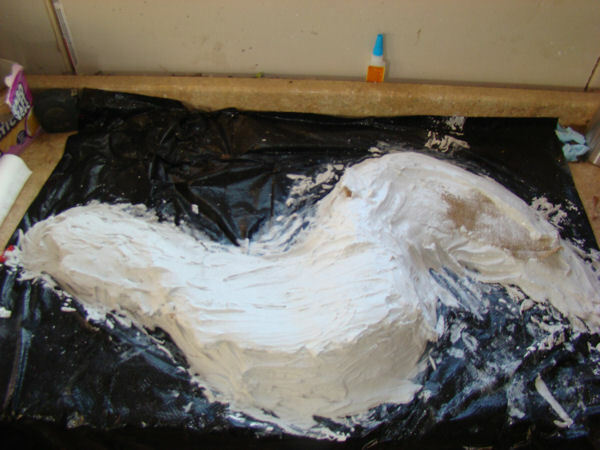 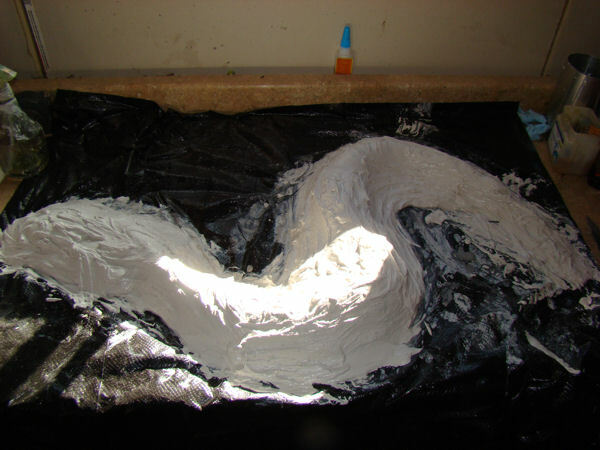 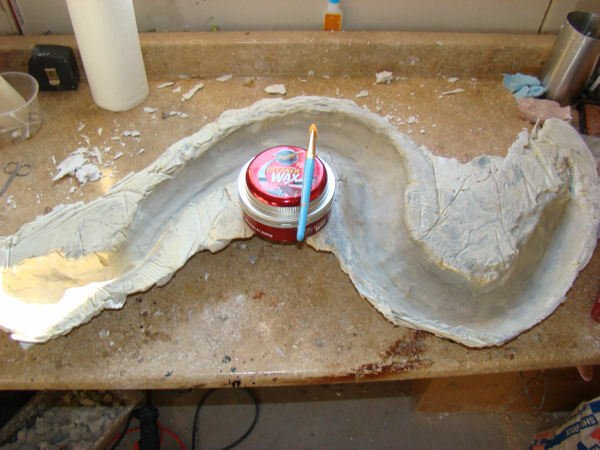 I filled in the head area with clay and then poured 2-part foam in the mold. 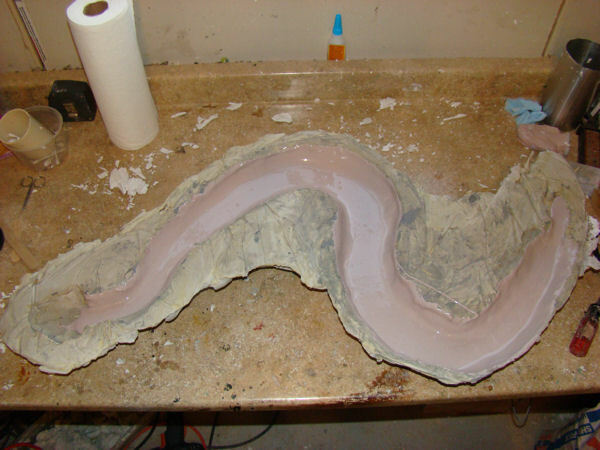 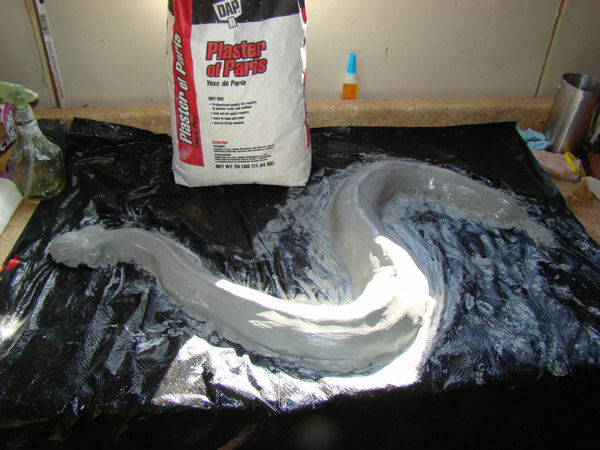 Popped the cast out of the mold and then added a layer of bondo to the cast and then sanded it down nice and smooth. 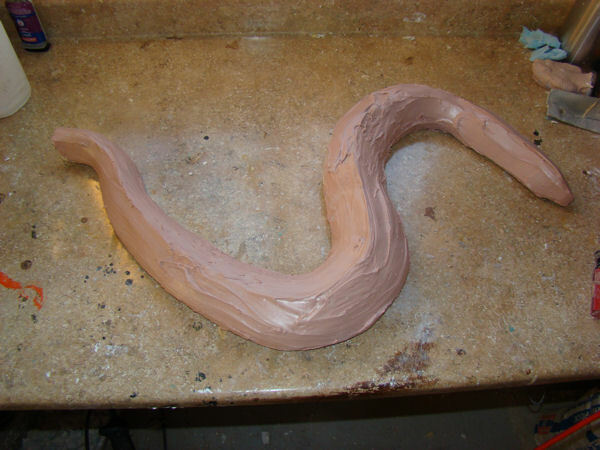 I attached the head with a dowel rod and 2-part epoxy glue and smoothed that junction with apoxy sculpt, then sanded it smooth. 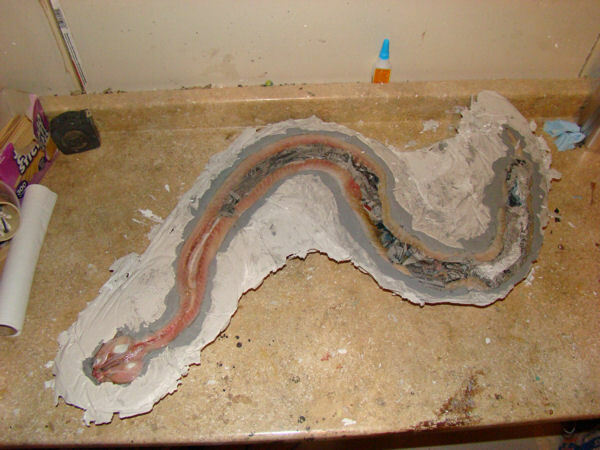 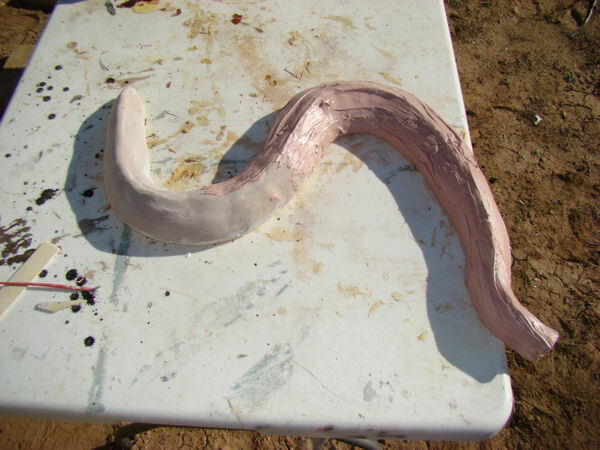 I also attached a rod for the tail and then used critter clay to shape the tail.